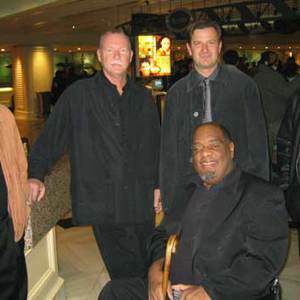 Fattburger is a smooth jazz band from San Diego. Their first CD was 'One of a Kind' in 1986. They released the album 'Work to Do' in 2004. Their website is: fattburger.com One of the most popular pop/jazz groups, Fattburger has been classified by some as new adult contemporary music, contemporary jazz, or smooth jazz. The San Diego-based unit has survived through many trends and still plays the same type of accessible funky music that was its original goal. Saxophonist Hollis Gentry, while in high school, led a group (Power) that opened for Cannonball Adderley at a college concert in 1972.